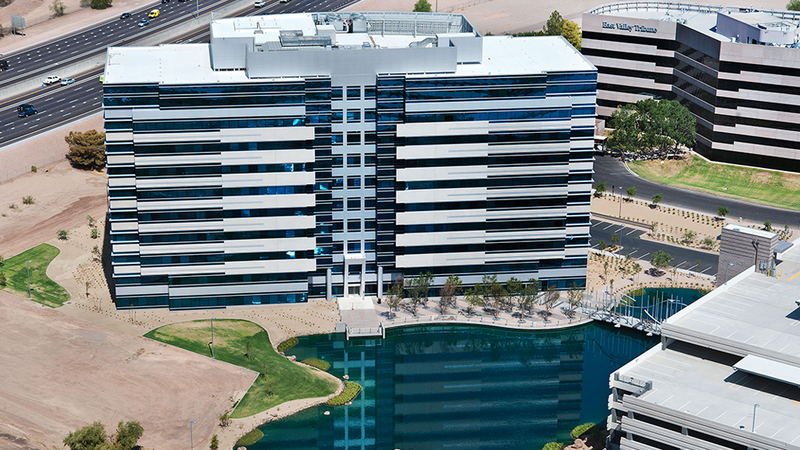 Fountainhead Office Plaza is a LEED Gold C&S office development located on an 11.33 acre site within the Fountainhead Corporate Park in Tempe, Arizona. The development was designed and entitled as a 100% speculative office development by Metro Commercial Properties on behalf of Park Corners, LLC, an entity controlled by the Principal Financial Group of Des Moines, Iowa. The site with entitlements was purchased by US Real Estate Limited partnership, a division of USAA Real Estate of San Antonio, Texas, in August 2009. 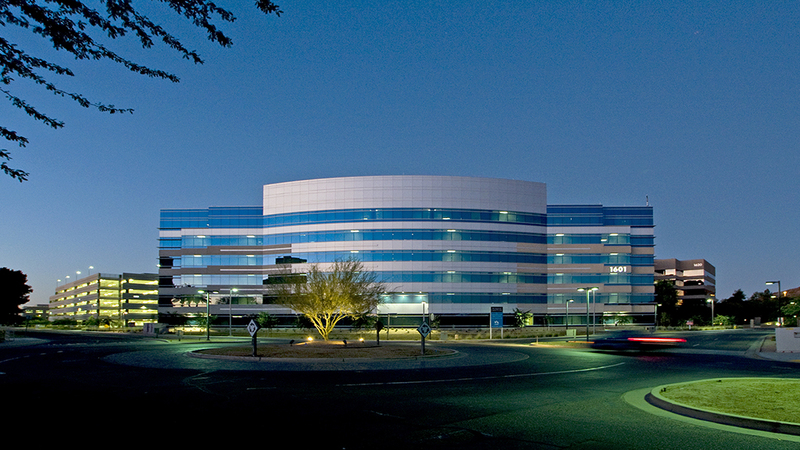 A pre-lease for the entire two-building project was negotiated between USAA and the sole tenant, University of Phoenix. Fountainhead Office Plaza consists of a signature 10-story Class-A glass & precast office building fronting the I-10 Freeway, complimented by a matching 6-story Class A office building oriented on the southwest corner of Fountainhead Parkway and 55th Street. 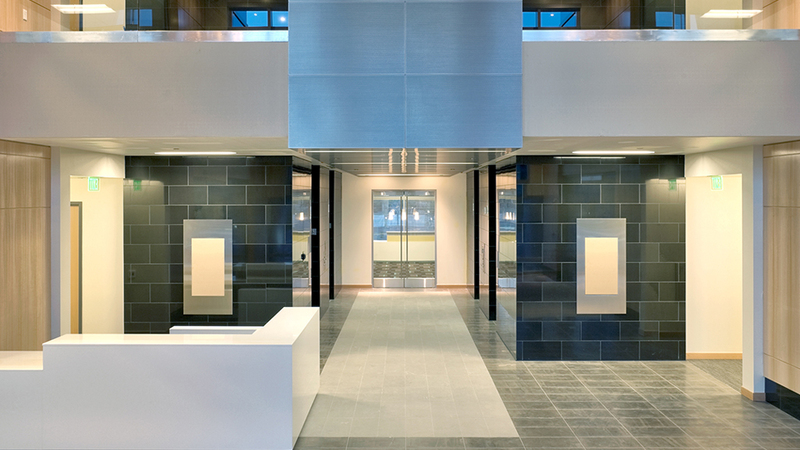 The 10-story building features a flow-through lobby with 2-story western facing atrium, connecting to a re-designed water feature centering the 2-building site plan and 6-story 1,900 space parking structure. 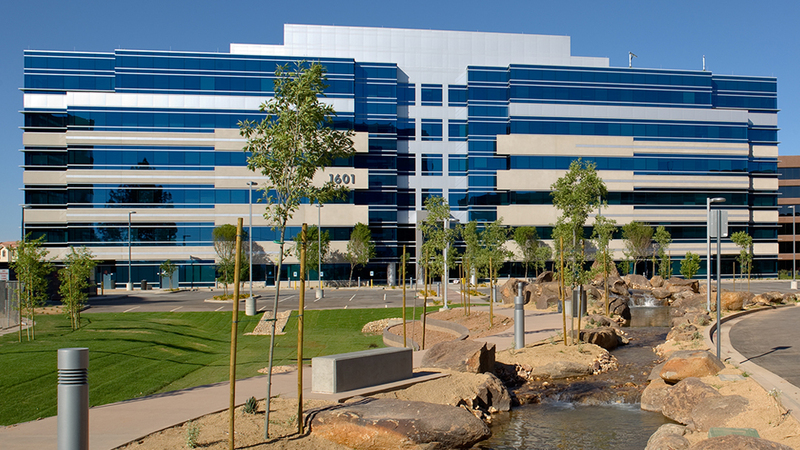 The water feature serves both as a visual separation between the office buildings and garage, as well as an engineered reservoir for non-potable irrigation water serving the greater Fountainhead Corporate Park Water Association. A dramatic artist designed pedestrian bridge across the lake, a meandering stream, and a center island with fountain provide a comfortable environment for patrons utilizing the planned first floor café. 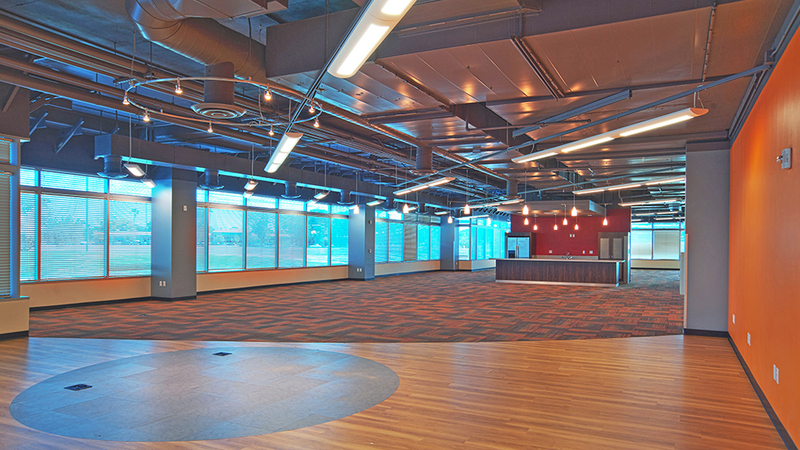 Fountainhead Office Plaza was delivered on-time and significantly below budget. The completed project was marketed and sold in September 2011. 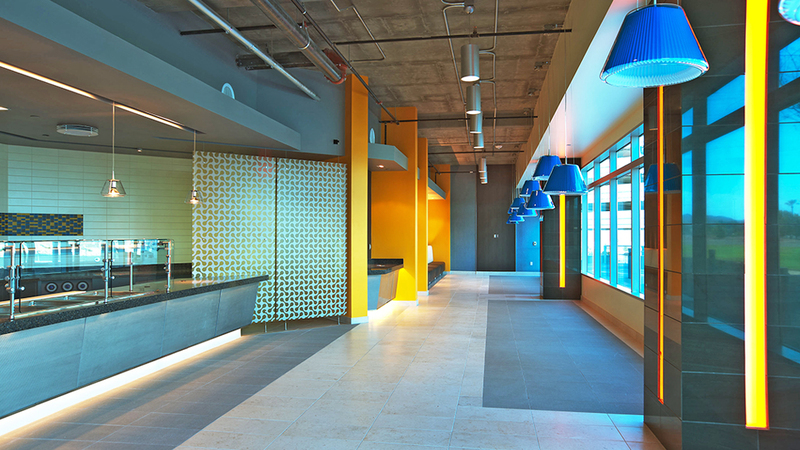 In the year following completion, the project was awarded the “Best Office Project” by the AZRE RED Awards, as well as the “Best LEED Certified Project” at the Best of NAIOP Awards. © 2016 Metro Commercial Properties, Inc.